Where to start? This story is so immense that to find that single strand to start unravelling it from is almost impossible. This is a space opera story. But it is so much, oh so much more than that. The first of a four-book series, The Snow Queen is based on the Hans Christian Andersen fairytale of the same name. Several things need to be considered here. Millennia after the fall of a galactic empire, people continued to live on worlds spread around the galaxy. The people of one world, Kharemough, discover space travel, and learn of other populated planets. And so they form the Hegemony, with a largely ceremonial government travelling constantly between the worlds. A Hegemonic police force is placed on each world, ensuring that Hegemonic law is enforced and adhered to. Space travel is through black gates. While the traverse is instantaneous, years pass for those left behind. Tiamat is one of the worlds in the Hegemony. It has twin suns that orbit a black hole. Because of its proximity to the black hole, the world is only accessible to the Hegemony for 150 years at a time. The people of Tiamat are split into two groups: the Winters and the Summers. The Winters live in the northern hemisphere. During the 150 years that the Hegemony has access to Tiamat, a Winter queen rules from Carbuncle, the world’s only city, while the Summers live in the tropical islands farther south. When the orbit of the twin suns draws them nearer to the black hole, Tiamat becomes hot, forcing the Summers north to Carbuncle. As the Hegemony pulls out of the planet, the Winter queen is sacrificed in a ritual death to the sea. A Summer queen then reigns from Carbuncle until the time when the orbit draws the planet away and it cools again. The Hegemony’s specific interest in Tiamat, it’s sole interest, is the Water of Life, an extract made from the blood of the Mers, gentle sea creatures that populate the world’s oceans. The only way to extract the blood is to slaughter the creatures, and this must be done in massive quantities to meet demand. Against this backdrop, we meet Moon Dawntreader Summer and Sparks Dawntreader Summer, merrybegot children who have grown up on the islands. Cousins, they are lovers, permissible by the Summer customs. One day the pair go to a place of choosing to find out if one of them might become a sybil. The sybils are revered by the Summers as speakers for the Sea Mother. They make a pact that if one of them doesn’t get chosen, neither of them will go through with becoming a sybil, but when Moon is chosen and Sparks is not, Moon finds she cannot, and does not want to, pull out. And so Moon becomes a sybil, and Sparks, feeling betrayed, leaves the islands for Carbuncle. The son of an offworlder, he has always been interested in technology, so Carbuncle is a logical choice. Distressed, Moon seeks to follow him to Carbuncle to declare her love for him, but along the way, her plans get derailed. Meanwhile, in Carbuncle, the Snow Queen, Arienrhod, is coming to the end of her reign. She has reigned for the full 150 years, her life prolonged by the Water of Life that Starbuck, her consort, slaughters the Mers for. Determined to lift Tiamat out of the technological dark ages the Hegemony enforces on them – technology is permitted during the Winter reign, but when the Hegemony pulls out, it destroys all electronics – she has been stockpiling equipment. But she has also cloned herself, determined that, despite her impending death, she will live on beyond her death and achieve her goal. I first read this book as a teen, and loved it. Now I’ve read it again as an adult, and I still love it. The world-building is magnificent, and the potential for a bigger story is woven through the book. I just love a complex story, and this one’s right up there. Which is making it extremely difficult for me to review it without releasing any spoilers from their pens. For me, the concept of a little Hegemony scraping itself together using the remnants of a fallen galactic empire, the whole concept of Tiamat and it’s location around a black hole and the implications of that, and the Mers… it’s all wrapped up in a bundle that just satiates my desire for great science fiction and a great story. 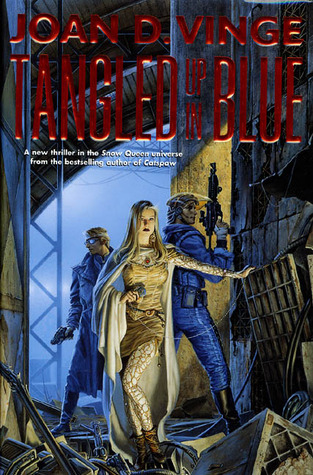 Vinge’s writing is meticulous in its detail, and yet she doesn’t get bogged down. The story flows (straight from the pages to my mind), and is engaging and fun. I cannot recommend this book enough, to those who like a good space opera and some visionary scifi. Having grown up reading Anne McCaffrey, Space Opera tends to be a comfortable place for me. So it was a delight to be able to return to the world of Captain Aramis Reyne, Critch, Throttle, Heid and the other players. This story is complex, as nothing in the Collective is simple. As the worlds on the fringe of the Collective seek independence and full citizenship for the inhabitants, Reyne and Critch need to bury the hatchet in order to become the motivational force they once were as leaders of the Torrents. But to do some means overcoming betrayal (aka learning the truth), and seeking those who would join their ranks. But sometimes the Collective is one step ahead, and resources can be closed down at a whim. We also get to know more about a mysterious group who like to run the Collective from the shadows, so to speak. 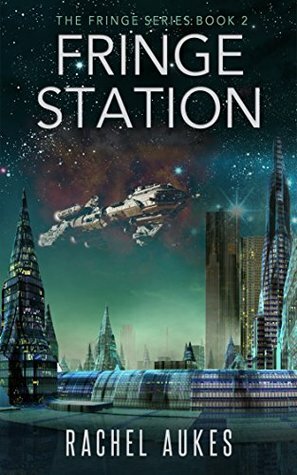 An exciting space-romp that is a pleasure to read, with plenty of action, strange worlds and compelling characters. Set before events in The Snow Queen, Tangled introduces us to the greengrass Gundhalinu, fresh on the Hegemony’s police force in Carbuncle. When a vigilante raid, conducted by junior police officers frustrated at the restrictions placed on them by the relationship between the Hegemony and the Tiamatan Queen, goes south leaving one survivor with no memory of events, and two powerful factions of Survey hunting an Old Empire artifact collide, two police officers find themselves the focus of attention. 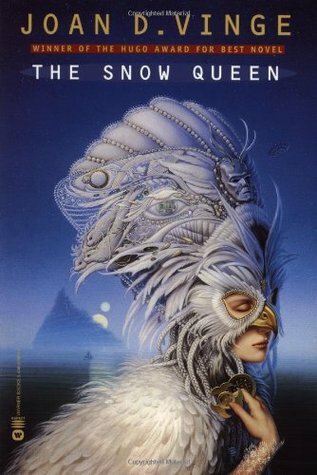 I really enjoyed reading this final chapter of The Snow Queen Cycle – it’s been a long enough time coming. It was invaluable, in a way, to have the insights given by the other three books – one understands more of the importance of events in this book that way, and the fragility. I found it a quick read, as exciting as the other books, and as vividly written. Definitely well worth the time spent reading it. After the colonization of Mars and Europa, it took us fewer than five generations to reach beyond our solar system and discover new planets capable of supporting human life. Too far away to be governed under Earth law, the Collective was formed. Several hundred years later, the Collective has expanded to a thriving system of six inhabited worlds, but power struggles are common, and a seemingly inevitable interplanetary war looms on the horizon. It’s nearly impossible for the working class to make ends meet. Aramis Reyne is one of the working class. An old space captain hounded by arthritis and war memories, he struggles to make enough credits to feed his crew and keep his ship flying by running mail and supplies to the farthest, most dangerous reaches of the Collective known as the fringe. When he’s offered a no-questions-asked contract to pick up a package, he jumps at the opportunity. But, he quickly learns that he should’ve asked questions…and that there are far worse things in the Collective than being broke. I received an ARC from the author in exchange for an honest review. This was a very exciting book. Just how I like my science fiction action. In Fringe Runner Aukes has created an excellent socio-political scenario as a backdrop to the real story, and to match that, a motley crew of misfits and ne’er-do-wells with pasts to their names. And a whole load of heart. Reyne is a sympathetic space captain who runs into events that aren’t of his making. And finds himself a kingpin in a plot that has far-reaching consequences. How far do old loyalties and ambitions extend? And what prices must be paid to achieve his dream? Great action, fantastic villains and some surprises nestle in this story. 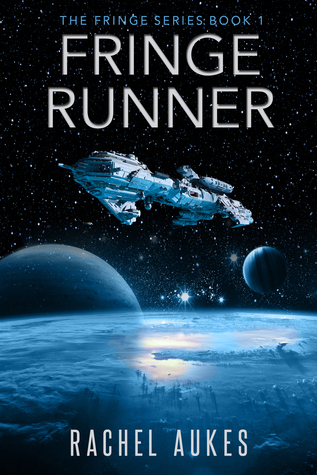 For space opera lovers, with a good helping of space piracy. Received a copy from the author in exchange for an honest review. The Talented Pirates have suffered loss. Some years ago a deadly virus swept through the female Pirates, decimating them. Now the Pirates face extinction since they have few viable females to bear talented children. 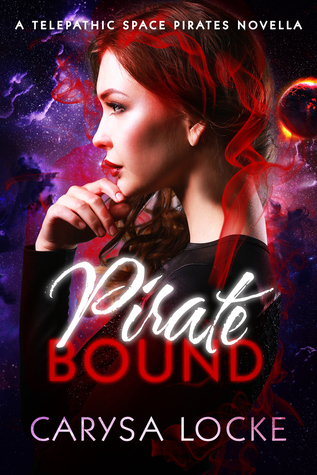 Then the Pirates come across two female Talented, Sanah and Nayla, exhausted and wary, who have escaped from a Talented organisation known as Veritas. Nayla is a biokineticist, able to heal on a cellular level, who’s Talent is required by their brother Niall – working for Veritas – for it’s killing abilities. What a fantastic story. Each of the main characters, and a few of the secondary characters, are well developed with differing personalities, goals and desires. Dem’s qualities as a protective hero make him very endearing, and I enjoyed his internal battle with his Talents. That really made me chuckle. Cannon was an extremely insightful Pirate King who really keeps his finger on the pulse. It would be nice to one day read more about him, and also about Treon, Dem’s enigmatic brother. Inventive and well-written, I hope to read many more books about the Telepathic Space Pirates. This definitely checks all my boxes in space opera, psychic talents and romance. This is excellent stuff right here, reminiscent of the best of Anne McCaffrey.